Made in the Freakin' USA! Established in 2011 and located in Wilmington, North Carolina, the Freaker quickly grew to be the global leader of preventing moist handshakes and sweaty beverages. They aren't just selling you their fit-everything product, they're giving you an invitation to their party; a starter kit for a new lifestyle. Infusing life, style and functionality into a drink insulator. 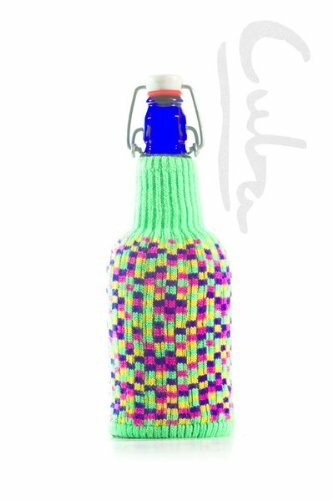 The Freaker is truly a one-size-fits all bottle insulator! Keeping your hands dry and your drinks cold is the new fashion-jam. What's that? You have a baby but you also enjoy bum-wine? Is the FREAKER for you? A match made in heaven, gumdrop. Your little one's sippy cup can be just as freaked as your 40oz Colt. Also your mom's wine and your kid sister's Nalgene and your dad's beer & the vase you sometimes regrettably send flowers to your ex in. Bottle not included.